It’s getting Spooky up in here! Looking for the Get Fit Giveaway? Just give a click HERE to find out more ways to enter and win! Well it’s happened. I opened one small box of Halloween decorations, put out a pumpkin here and there…and you know what comes next right? 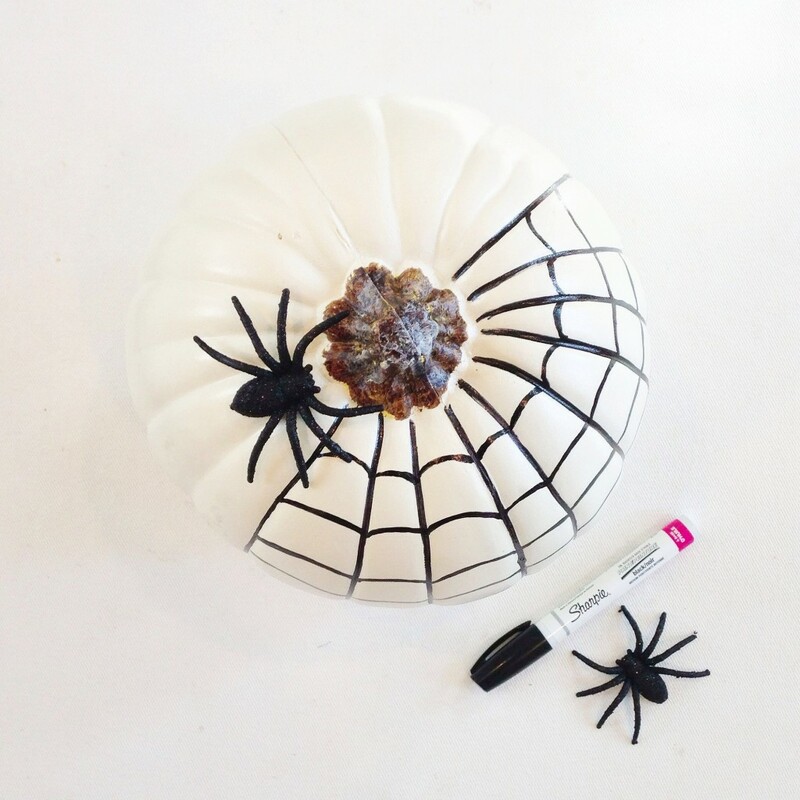 200 trips (ok 3) to Michael’s, crafting while the kids nap, blowing up my Pinterest Halloween folder full of ideas, and hanging up way too many spiders and cobwebs than I care to even count. It’s that thing that happens when we get that little taste of cooler Fall weather…we snap and head right into Holiday crack out mode! And maybe crafting isn’t your thing, but you know you started baking something, bought new warmer clothes, or looked up Halloween costumes already! If not, that’s ok…it just means you aren’t crazy! 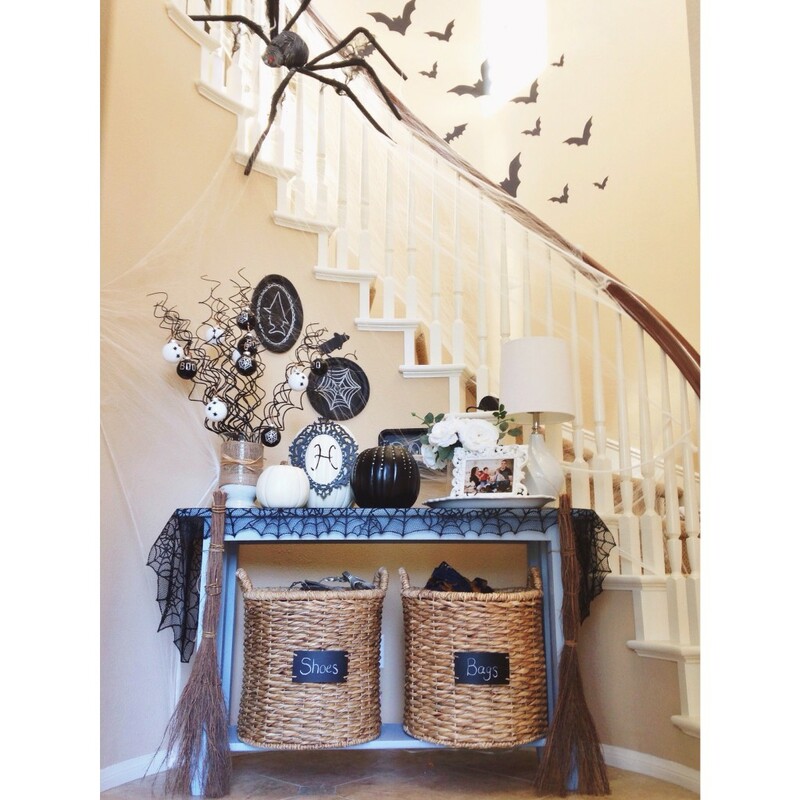 So here it is…the START of the Halloween happenings around our house! I’m still stuck on what I’m going to do outside but I have until October 1st right? Have you gotten into the spirit of spook yet in your house? Everything you’ve done looks absolutely amazing!!!! I’m jealous of your craftiness! I love your decorations!! I need to get to Michaels! Wow. You’re amazing. I’m super impressed. No Halloween decorations here yet – admittedly I’m not a huge Halloween person though. 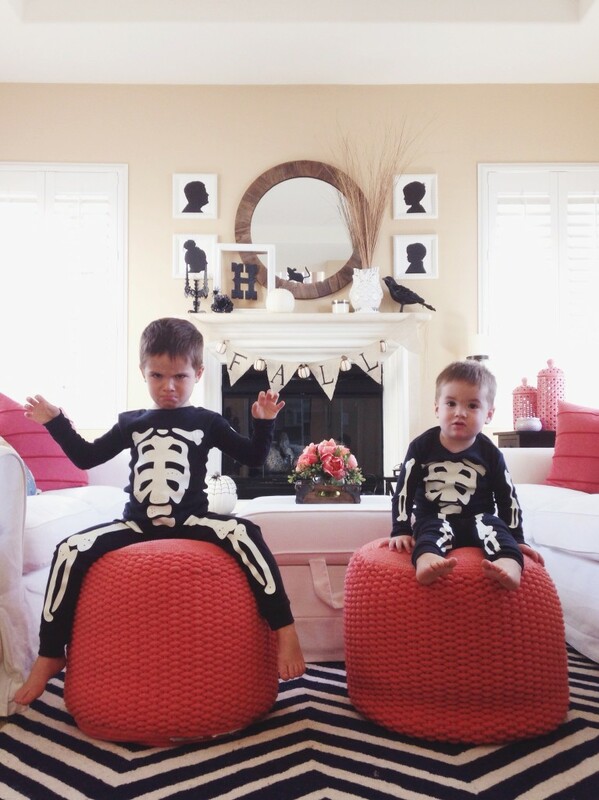 Are you making the boys costumes too? I love your Halloween decor! 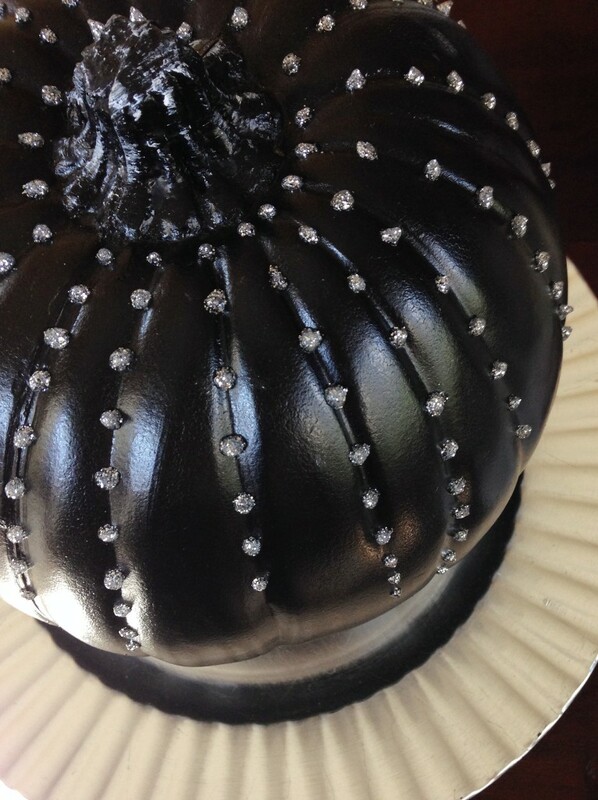 It perfectly festive without being cheesy or too spooky– which is a fine line when it comes to Halloween. 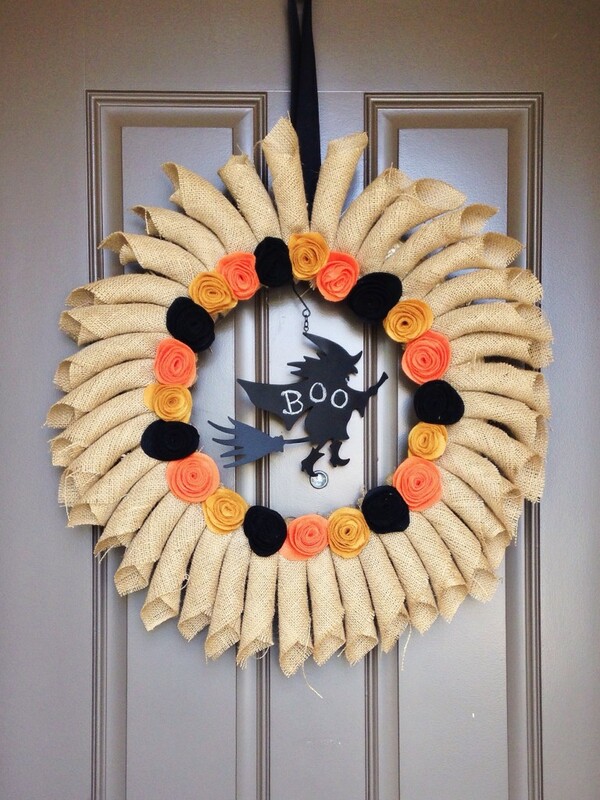 The silhouettes are perfect and I love your wreath! 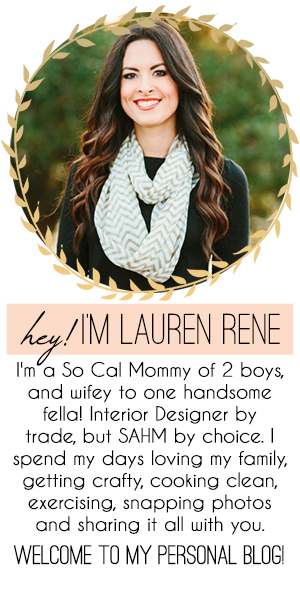 Are the DIYs on your Pinterest page? 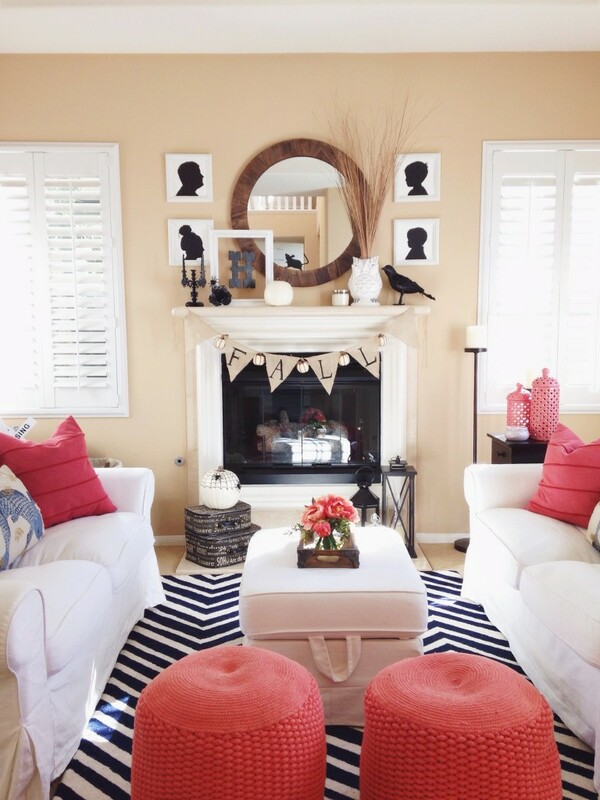 Love all your decor! 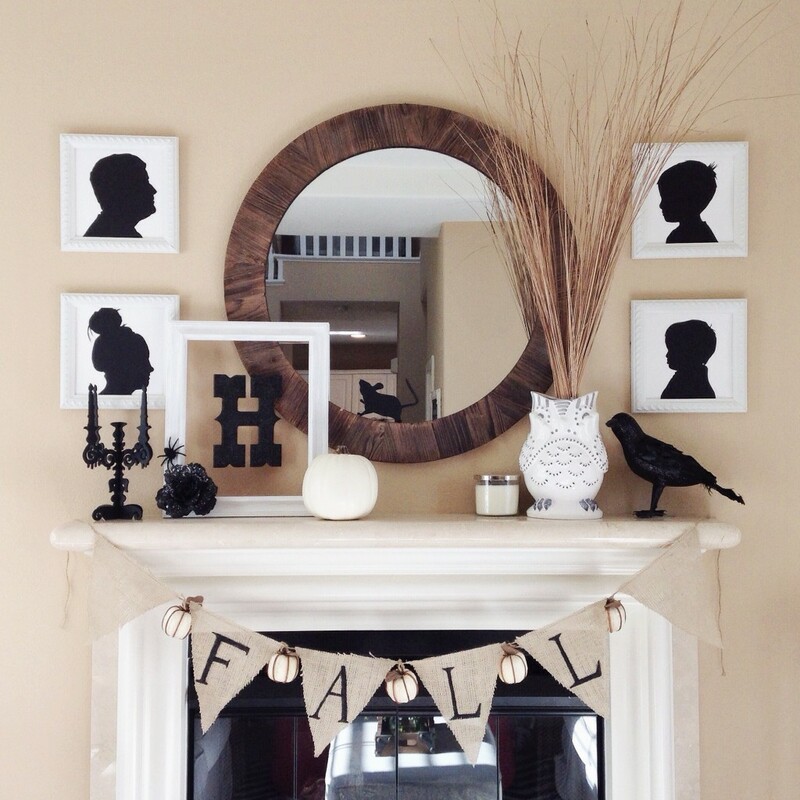 Where did you get the mirror above your fireplace? Everything looks great!! 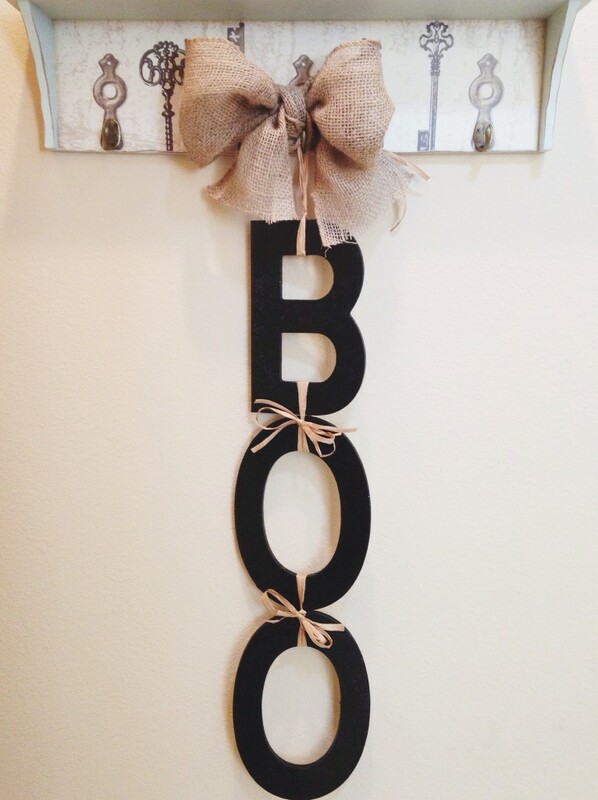 I love the Boo letters and your mantle. Coming over from the link-up. happy weekend! Girl, can we be best friends??? Forever?! I LOVE your Halloween decor —- come to my house next year!